The alert among you (that's all of you, right?) will notice it's Saturday Selections rather than Preview today. I hope you'll excuse the laziness for once, but after getting back late from Fakenham last night, and faced with the prospect of no/some/all of the racing today taking place, it seemed a bit pointless going through all of the cards. And I was knackered. So just for today, selections and a line or two about why I like them. Nice finish to the week yesterday but the first race sadly marred by the awful injury to Sir Erec, which made me turn away from the big screen at Fakenham. Horrid game this, at times. Chucked in on bumper form and connections have travelled some way to race here (could have gone to Fontwell for a similar race). Will appreciate going back left-handed and worth taking a chance on. Win bet. On my ten to follow from a couple of years ago and almost landed me a good bet at Cheltenham when last seen out. Now, that was back in 2017, so fitness to take on trust, but I have no doubt we have yet to see the best of her (as long as she's over her travails) and her form stands up well. Will like the ground. Small e/w at 33s with Hills, 5 places. Had a dabble at him at a bigger price in the week and is now very well backed. You'll know your fate pretty quickly – he can jack it in, but if Bryony can pop him out in front and get him in a rhythm, he's every chance. Good record in the race. 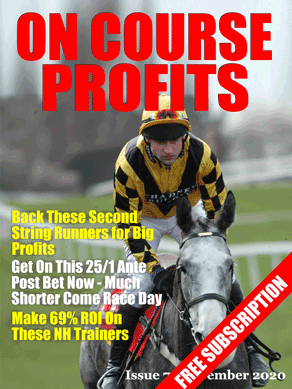 7 places Hills, so have an e/w bet with them. Problem here – two horses both on my “to follow” list rock up in the same race and they both have chances. I think I'd side with The Cannister Man, who looks about ready to win again, and he's totally proven under these conditions. Two good efforts this term and he's really a bit better class than these. I might have a small reverse forecast with DTG though, as he seemed to run a bit better for a wind-op last time and still has his best days ahead of him. Wait until he sees a fence, he should take off then…. If you just want one today, it'll be The Cannister Man.